Ok, I haven’t yet bashed up the content on the Arcadia model but there is the working paper we were going to deliver at CUPUM but my indisposition killed this. 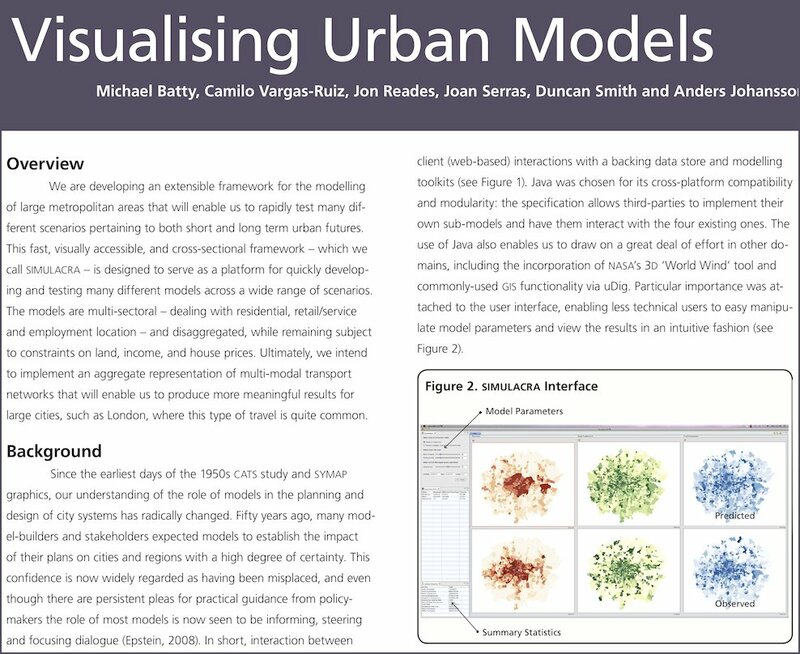 However we do have a poster about the model at CUPUM and it is massive – you can download it if you click on the image below and then have a good read – we summarise the state of play here and hint at what we might do in the future. Thanks to our key twitter man in CASA, Fabian Neuhaus, who presented it at CUPUM.